It's pointed out these days with increasing frequency, that the F1 calendar is a rather strange thing. And in the here and now it's making itself known as such rather acutely. Partly this is down to last Sunday's Hungarian round being the only F1 meeting in a run of six weekends; which in turn is partially down to the new-fangled summer break (though few doubt that the hard-pressed fraternity, enduring a 19-race calendar 12 of which are long haul, could do with a rest), partially down to a reshuffle resultant from the New Jersey round being cancelled and not replaced. But also to those of a certain vintage there seems something rather of a parallel universe to have gone through the Hungarian round and still have a full nine rounds - half the season pretty much - remaining. Time was when a Hungary visit meant late summer, lengthening shadows, and an F1 season moving into its final act. 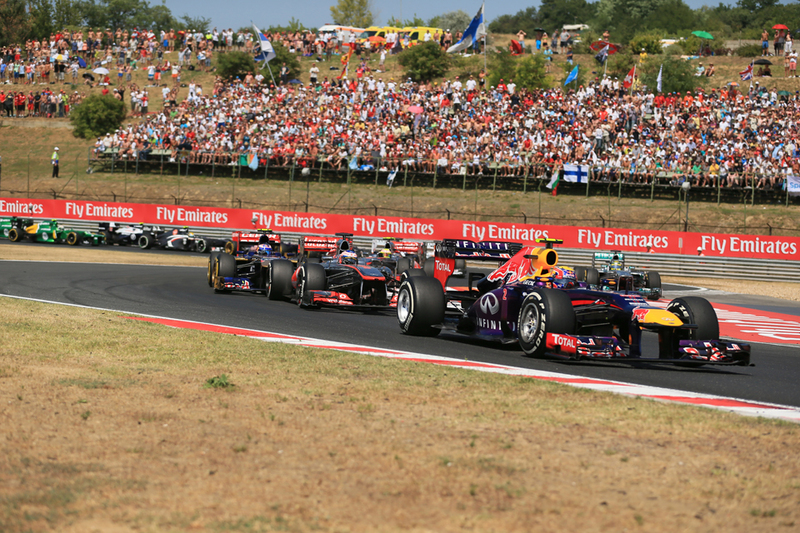 Indeed, rewind just ten years to 2003 and after Hungary but three races remained: Monza, Indianapolis and Suzuka. 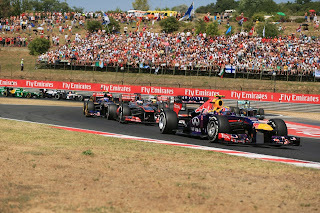 Twice the championship was settled at the Hungaroring, though both in years wherein a single driver dominated (once Michael Schumacher, once Nigel Mansell). The sport's cramming in of new venues, many in Asia, has resulted in a rather bottom-ended schedule and a helter-skelter run of races in the Autumn. Of course, Japan's been there since the year dot (well, since 1987 in this run), while in 2004 the Brazilian round was moved from the season start to the season end. Otherwise, the longest in the tooth among the post-European rounds is that in Singapore which dates back all the way to 2008. But the wonderful thing about F1 history is that you can delve into the past and find a more extreme example of just about anything. And this goes for strange scheduling too. It used to be common for the F1 season to start in January: often you'd have a race or two in that month, usually in South America or South Africa, before the teams would go back into their winter hibernation until the Spring (March or April) at which point the season would kick off in earnest. Indeed, the most recent F1 January opener was as late as 1982. And such strangeness was not exclusive to the season start. In 1962 and 1963 the final round on the itinerary was in East London in South Africa, and each year it took place in the days between Christmas and New Year! Not only that, in both years the previous round was in October! Indeed, in 1962 the destination of the drivers' title still hung in the balance heading into the final round, and all concerned had to wait upwards of two and a half months between the penultimate and last races to find out who would take the honours. But for the most curious bit of F1 scheduling that I could find we have to go back to the 1950s, and again to the season start. 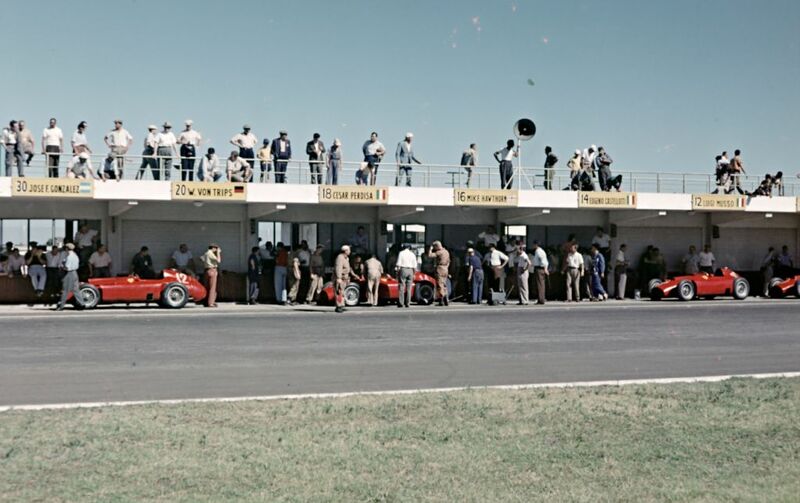 From 1953 to 1958 a round in Argentina joined the World Championship, and in each year apart from the last was the only round to take place outside of Europe (ignoring the Indianapolis 500, which curiously then was a race awarded with points for the F1 World Championship, but in reality was an F1 round in name only). Again, the Argentine round tended to be held in January, with the European rounds from the Spring onwards. 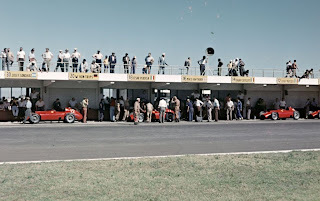 And in 1954 the Argentine race took place on 17 January, with the next World Championship round (again ignoring the Indy 500) at Spa not until 20 June! More than five months later.